Part of our service to you includes the transfer and care of the deceased. When a person is transferred into our care they reside in one of our Chapels of Rest which are located at both our Rayleigh and Thorpe Bay offices. We do not use off-site hubs or storage facilities. Depending on where the death occurred will depend on the procedure for bringing the deceased into our care. Should you need assistance at any time of day or night please contact us on 01268 743102 (Rayleigh) or 01702 586383 (Thorpe Bay). For sudden and unexpected deaths the Coroner’s team will attend. The deceased will be transferred to the local hospital. You are still welcome to call us to inform us of the death, we can then guide you with regard to the Coroner’s procedures. 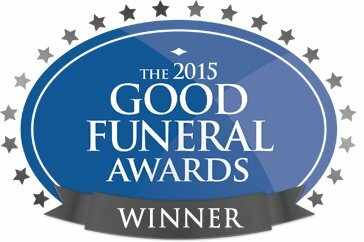 If you are entrusting A.R.Adams to carry out the funeral arrangements then our service to you will start when you first call us. A representative of the company will ask you for the name and location of the deceased and whether or not a doctor or other medical practitioner has confirmed that the death has occurred. Your name and address will be taken and a time of arrival will be agreed. We will always strive to be with you within an hour of your making contacting with us, unless you specify that you would like more time. Two members of our staff will arrive at the address and will explain the next steps of the process to you before transferring the deceased into our company’s care. The deceased will be brought to either our private chapel of rest in Rayleigh High Street or our private chapel of rest in The Broadway, Thorpe Bay. Once the deceased has been taken into our care and the death has been registered, the funeral director will need to be contacted again during office hours in order to make an appointment to discuss the forthcoming funeral arrangements. If the death occurred in hospital or if the deceased was taken into the care of the Coroner, the deceased will remain in the hospital mortuary until all the relevant medical certificates and paperwork have been issued. If the death was expected the doctor will issue a medical certificate of cause of death. Once this has been issued, the hospital bereavement suite will contact the next of kin to arrange an appointment to visit the Registrar. The Registrar will issue a Certificate of Burial or Cremation and a Hospital Release form. Once all the required forms have been issued, A.R. Adams can then make arrangements to transfer the deceased into our care. If a person has died unexpectedly they will be taken to the hospital mortuary by the coroner’s contracted team. This will be a contract funeral funeral director. Their service to you ends as soon as they have transferred the deceased into the Coroner’s care. You are welcome to contact us straight away to inform us of the death and we will guide you with regard to the Coroner’s procedures and forthcoming funeral arrangements. Without hesitation recommended AR Adams. They are exceptional. From our very first visit we knew we were in good hands. AR Adams are shining example of a company that knows how things should be done. The Thorpe Bay office provided us with the most exceptional care and kindness when my Mum left us. I am more than grateful and have already recommended the services of this excellent company. Words can't say how much they cared for my dad, myself and my brother when we suddenly lost our Mum. Nothing was too much and they went above and beyond and helped us go through the arrangements. Thank you. We used these when our dear friend Bill passed away a few years ago , they arranged everything we wanted , horse drawn hearse carriage was amazing . Staff very respectful and all went smoothly. My grandad passed away in April and we used Adams and the service was fab I work in care and I always recommend this company couldn't of asked for anything better and nothing was to much to ask. Our father could not have had more care, nor a better ‘send-off’. Adams, Rayleigh, were super in every sense of the word. I highly recommend them. A.R. Adams could not have done anything more. Not only in the way they cared for the family but also how they accommodated all of our requests on every occasion we’ve had to use them. Nothing is to much trouble. Very professional and respectful. Everything went according to the order of service, and we could not have been happier. Would recommend them highly. I cannot express enough how caring and helpful Adams are in a very stressful time. They handle everything with in professional manner with the right amount of empathy to make you comfortable. This is a family run business that gives a service that is lost in large organisations and I thoroughly recommend them.